If you do not wish to remain permanently in the United States, there are many different types of “nonimmigrant visas” available. Nonimmigrant visas / temporary visas authorize temporary presence or residence in the U.S. for a particular purpose such as employment or study. The sheer variety of nonimmigrant visas makes it impractical to discuss each of them here in detail. The following overview covers only the most common purposes of nonimmigrant travel to the United States. There are several nonimmigrant visa categories that authorize the visa-holder to work in the United States for a limited period of time. The specific category of visa depends upon the applicant’s type of work or profession. Common work-related temporary visa categories include H (H-1B, H-1C, H-2A, H-2B) and L (L-1A, L-1B). Businesspeople who are visiting the U.S. only briefly for purposes incidental to their foreign employment—for instance, to attend a meeting or conference—may obtain a B-1 visitor visa. Foreign students who wish to study in the United States for credit must obtain a study visa. These are typically F visas (for academic study) or M visas (for vocational study). Students participating in an exchange program may obtain a J visa, discussed below. Exchange visas (J-1) are available for participants in many different sorts of approved international exchange programs, including study exchanges, intercultural exchanges, au pair programs, and work-training exchanges. Exchange visitors who come to the U.S. to develop certain specialized skills or knowledge, to receive medical training, or to participate in a government-funded program may be subject to a two-year home residency requirement following completion of the exchange program. 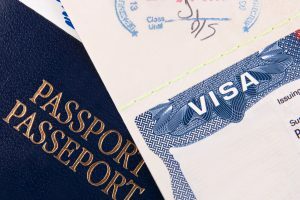 Visitors who wish to travel to the United States for tourism or vacation, short family visits, or medical treatment may obtain a B-2 visitor visa. Holders of B-2 visitor visas are not permitted to work or study in the U.S. during their visit. Call (248) 630-3239 to schedule a consultation. Or contact me here. Should you have any questions or if you would like to schedule a consultation, please contact me by submitting the form or by calling me at (248) 630-3239. I accept clients from across the U.S. and around the world. My law office is conveniently located in Troy, Michigan for in-person meetings. For phone consultation, you can reach me from any part of the United States or abroad.